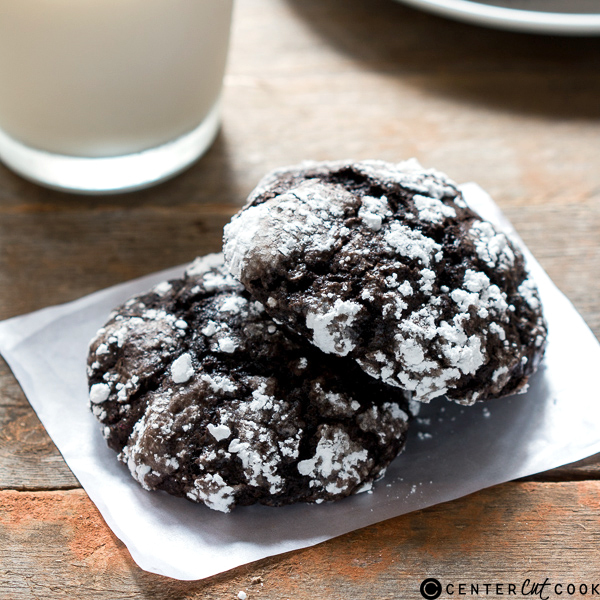 These chocolate crinkle cookies are the easiest, cakiest cookies you’ll ever make. Rolled in powdered sugar before baking, the cakey cookies peek through and make for the prettiest Christmas gifts! Holidays are our excuse to bake furiously. 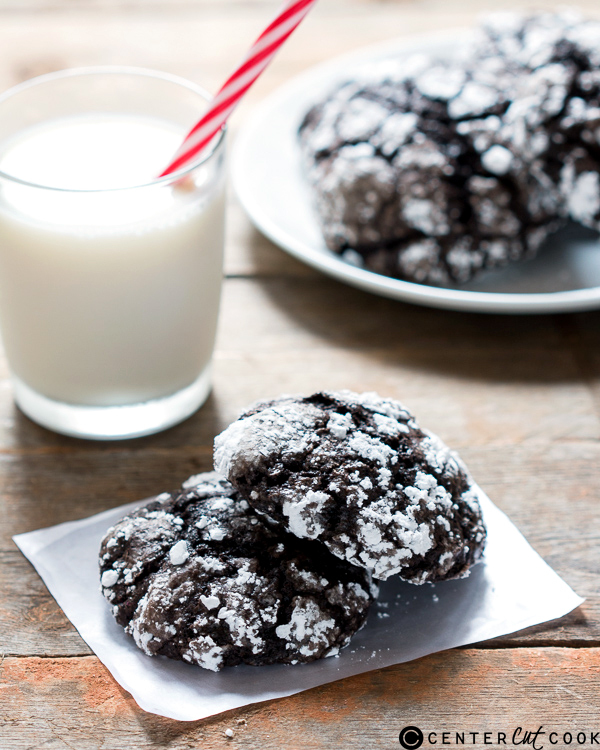 We have a list of must-bakes every season, and these cakey chocolate crinkle cookies are always top of our list. Because apart from making the pretties gifts, they are cakey and the chocolate flavor is bang on! The first time we made these, we couldn’t believe how easy they were and we’ve been making them every year ever since. The dough is made in advance and refrigerated for a few hours. We usually keep it overnight so that we have freshly baked cookies in the morning. A huge batch goes to family and friends because they also make for such pretty gifts. These cookies are cocoa based so it’s important that you use good quality cocoa powder. Good quality cocoa powder can really make these cookies shine. These are so chocolatey that they may just be enough to satiate your craving for chocolate cake. I know that’s a tall statement to make, but you have to try these to believe it! In the bowl of a mixer, beat together cocoa powder, sugar and butter till it’s shiny but still gritty because of the granulated sugar. Add the eggs one at a time, beating each time till the egg is combined. In another bowl mix together flour, baking powder and salt with a wooden spoon. Add this slowly to the cocoa mixture, and mix till just combined. Cover and chill the dough for at least 4 hours or overnight. This makes it easier to work with the dough while making cookies. Place the confectioners sugar in a wide bowl or plate. Using a small ice cream scooper, scoop out balls of dough and roll them in the confectioners sugar with your hands till the sugar covers them thoroughly. Don’t worry if there’s a little extra sugar here and there. These make around 24 cookies. Place them on pre-lined baking sheets and bake for 12-15 minutes. Allow them to cool for a few minutes before transferring them to a wire rack. Let them cool completely before serving.